Specialist UK Restorations Ltd (SUKR) are experts in the field of External Wall Insulation systems (EWI). 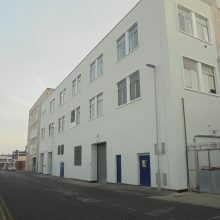 These are used with full British Board of Agrement (BBA) approval, in the refurbishment and upgrading of many Traditional and Non-Traditional (Non-Trads) building types. External Wall Insulation systems are primarily intended to improve the thermal performance of buildings, providing increased insulation values, reduced heating costs and therefore reduced carbon emissions …’whilst also producing great looking new buildings’. SUKR work on projects to meet the governments Decent Homes Standards and Part L Insulation Values of the latest Building Regulations. With these systems professionally installed by SUKR, building owners and their engineers have a cost effective alternative to demolition and total rebuilding of both Traditional and Non-Traditional housing, multi-story and commercial units. 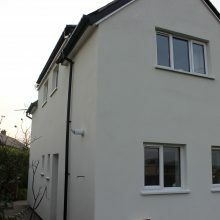 The additional benefits of EWI include the prevention of water ingress to protect the building fabric and maintain it’s structural integrity, plus reduced internal problems with damp and condensation. Below standard thermal performance of your building? 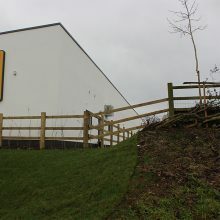 Sub-standard external appearance of your building? Is your building not suitable for wall cavity insulation? Do you want to upgrade the performance and habitability of housing? Problems with internal condensation in your home? Want to reduce your personal carbon footprint by reducing household utility bills? Want to make your current non-mortgageable Non-Traditional property mortgageable?